Our customers are ready to drive off in their shiny new supercars, smug smile on, surrounded by that incomparable new car scent. Just one thing missing. And then the anticipated question strikes: “How do I go about adding private number plates?” So, here comes the necessary guide to all things personalised license plate related. A car can reveal a lot about the person who drives it. “People think of cars as extensions of themselves and their personalities,” says Jon Linkov, deputy auto editor for Consumer Reports. Car owners personalise their vehicles differently, some choose to stick lashes to their headlights, others use bumper stickers to stand out from the crowd. There’s even the option of taking a drive to the garage for specialist bodywork. The most impactful way of standing out from all the other metal in a car park, however, is by applying a personalised number plate. Car registrations are the go-to for identifying a vehicle, and as a result, it’s always worth making it a memorable one. 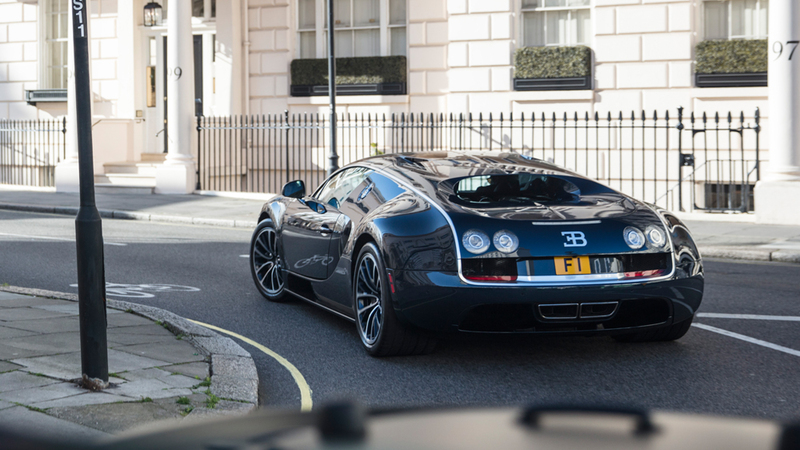 Buying private number plates can sometimes be a great way of showing extravagance. The most expensive personalised license plate in the UK is ‘25 O’. The plate was purchased by John Collins, a classic car dealer for a whopping £518,480 back in 2014. In contrast to the Ferrari 250 GT SWB worth £10m that the plate is attached to, this no doubt must seem like pocket change to Collins. Arguably the most valuable license plate on the market reads ‘F1’. Car designer Afzal Khan bought the plate for £440,625 in 2016, it can now be found attached to his Bugatti Veyron. With Khan turning down a £6 million offer for the plate, it can now be purchased for £10m! If you want a personalised number plate, you’ll need to buy one and have it registered with the DVLA. The plates are typically available from the DVLA directly, a private auction or a reputable seller. How much these will cost you will vary depending on which style you’re looking for, and the popularity of what you need – expect to pay anything between three and four figures. If you have a particular personalised plate in mind that belongs to somebody else, you’ll have to track them down and make them an offer. Expect to spend a significant sum for this. There are a number of legal implications to be taken into consideration when purchasing a personalised number plate. Be sure to use a reputable dealer as failing to meet the government standards could lead to prosecution. Finally, it is strictly prohibited for a personalised number plate to be used for mis-selling. As a general rule, a private plate can only imply the car is older, but not make it look younger. For example, if a plate with ‘07’ is replaced with one reading ‘67’, the car then appears to have been manufactured in 2017 – a whole ten years younger – and this subsequently suggests the owner is trying to deceive potential buyers about the value of the car. Once you have bought your chosen personalised number plate, it will need to be registered with the DVLA. Once you do this, the plate will be assigned to the car and not you personally. So, if you do choose to change cars and keep your number plate, you’ll have to transfer it. You can apply online to change your car’s registration on the official government website. Only attempt this once you have received your V750 certificate of ownership and under no circumstances should you throw away your existing number plate. This will be reassigned to your vehicle should you ever decide to remove your personalised plate. Note, if you purchase a private plate and do not assign it to a vehicle that is in regular use, you’ll need to re-register it with the DVLA every ten years. If you have bought any private number plates, you’re more than likely going to want to keep hold of it when you decide to change your vehicle. To transfer your personalised license plate, you’ll need to make sure you know your document reference (consisting of eleven digits and found in the VC5 logbook) and pay a small fee. Once you’ve done this, you’re free to keep your personalised license plate and apply it to another vehicle – ensure this is once again registered with the DVLA. If you’re looking for a prestige car to attach to your personal number plate, browse our stocklist of prestige and specialist cars for sale, come and view our cars at our Blackburn showroom or simply contact us with your luxury car needs.